Before I write about this review of Taken 2, let me take this opportunity to express gratitude to Nuffnang Philippines and Kojie.san Men. 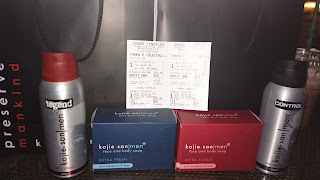 This was the second part of their treat to chosen bloggers after the Kojie.san Men Product Launch. 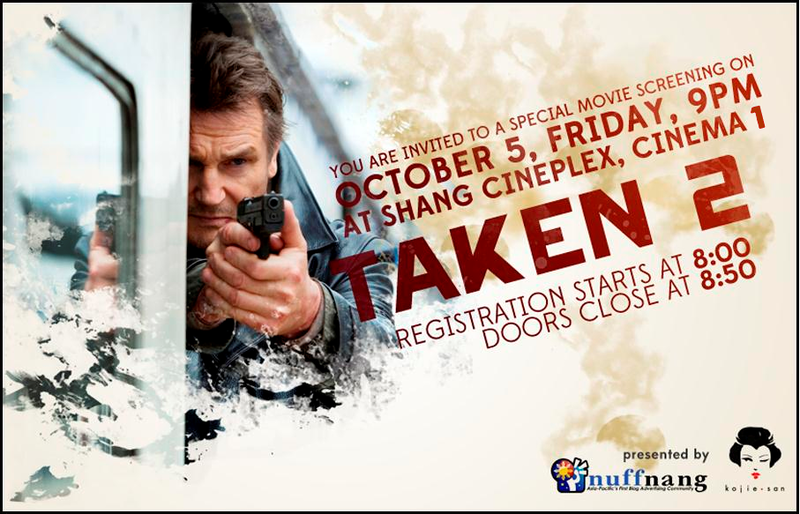 The free exclusive movie screening for selected bloggers at Shangri-la Cineplex in Mandaluyong was also due to their generosity. Freebies were also given out. The deo spray and soap variants smell great! This isn’t my first time at this mall as I’ve been here before. But it is my first time at the Cineplex. The first thing I’ve noticed is that the tickets are really expensive. It’s twice as much as a ticket cost in a local SM mall in my province. Inside, the area is quite smaller than usual cinemas. It didn’t help that there were only a few more seats available when we arrived for the pre-registration at around 8:15 although registration started at 8 PM only. Wow! Imagine how much difference 15 minutes can make. So we had no choice but to get the seats on the second row infront. I felt dizzy because the screen was so close. 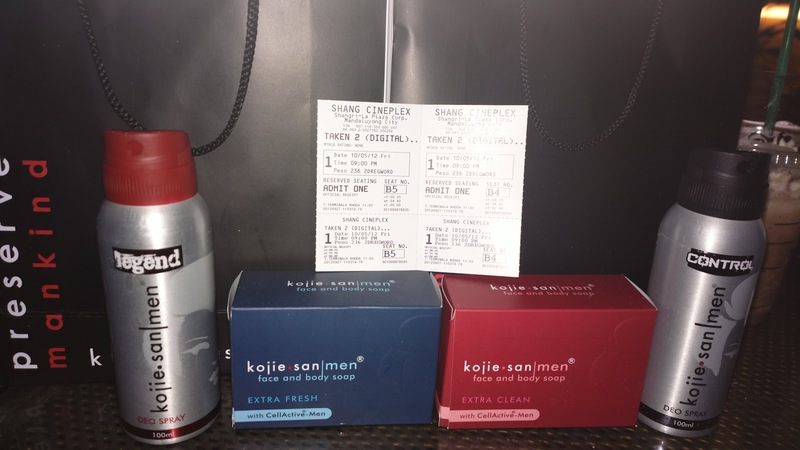 Before the special exclusive screening started, Kojie.san opened up the night by giving away prizes to 10 men who were able to provide pick up lines to answer the question, “lalaki ka ba?” Incidentally, Chuckie Dreyfus was among the audience and also participated in the same game. I was wondering if he accompanied a blogger or he blogged about Kojie.san himself. John Spainhour, who is the image model for Kojie.san men also graced the opening of the show. 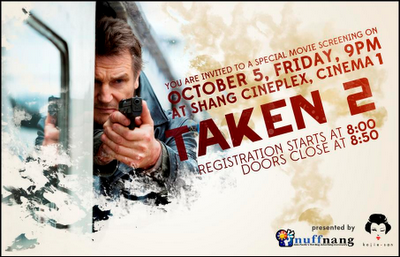 In Taken 2, Mills’ ex-wife Lenore is facing separation legal battles with her rich husband. Kim on the other hand has a boyfriend. A supposed vacation for mother and daughter was cancelled by Leonore’s ex. Bryan, who was scheduled for a security related work in Istanbul, Turkey invites them to accompany him. So they travel and tour throughout the city. Mills was unaware that the same group who was involved in his daughter’s kidnapping is out for revenge, particularly Marko Hoxha’s father. The same guy he had talked to over the phone with those same lines above. In this sequel, Bryan and Lenore were taken. Kim on the other hand was able to successfully flee her capturer's when Bryan called her using a mini-mobile phone as small as a Tic Tac box. Mills, with skills which can hunt a prey thousands of miles away, was able to lead her daughter through where they were taken by memorizing each and every turn at every nook and corner while counting each second and minute which passes by. Using the grenade blasts to pinpoint the exact area was sleek. Apparently, the theory is that there is a few seconds of delay for sound to travel from where the grenade was blown towards where Mills was held captive. Every second of sound delay was used to measure the distance between two places. As expected, Bryan escaped with the aid of his daughter. Unfortunately, Lenore was still taken when Bryan left her for a moment to help Kim who was being chased through rooftops. The scene is reminiscent of movies with Brazil, particularly Rio with characters chasing each other all over the ladder-like rooftops such as in Fast Five. 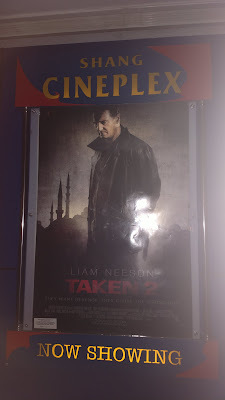 Going back to Taken 2, it was quite predictable that Lenore was kept alive when the mercenaries could have easily killed her soon as they discovered she was left behind when Mills escaped. So I’m sure you know how it ends. Kim was already safe at the U.S. embassy in Istanbul through Sam (one of Bryans’ friends) help when Bryan went after Lenore’s takers. That scene between Marko’s father and Bryan was monumental. Bryan offered to end it right there by walking away if the gang’s leader swore not to seek vengeance anymore because he’s tired of all it. The old man unfortunately attempted to shoot him but too bad, the gun was bullet empty. Thus, he was killed too like everyone else before him and whoever will still attempt to hunt Mills in the future in an endless vendetta. If there was anything good which came out of it, Mills is back with his family again at the end of the movie with the addition of Jamie, Kim’s boyfriend.